Dr. Bhavini Jariwala is a renowned retina surgeon. She successfully completed her MBBS in the year 2009 . After her MBBS, she pursued DOMS and received the degree in the year 2011. She successfully completed her DNB in 2013 from the renowned institute. 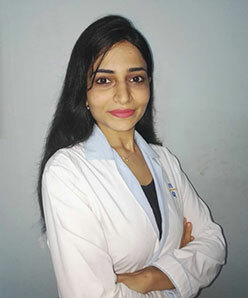 Dr. Bhavini specialises in the surgery of retina and has a rich experience of 7 years in the eye care world. She also provides consultation for other eye disorders such as glaucoma, crossed eyes, etc.